I very much enjoyed your article. Number one especially hit home. I am struggling at this time if I should stay the course or “get off the horse.” I have had my business for two years now. I am located in Alabama and staging is strongly in its infancy here. I have spoken at several of the real estate offices here, gone and just dropped by to try and talk, joined my local chamber, and have networked as much as I know how to do. I am very outgoing and have no trouble talking to realtors. I have seen growth in my business from the first year to the second, but based on the numbers, I wonder if this is a viable business here in my area. I have established some good connections in this second year, but the truth of the matter is that I cannot get work. I have had only 18 jobs during this year and we are headed into the slow season. I just wanted to hear your thoughts. As I mentioned, the bank account has increased since last year, but I still cannot afford to pay myself anything. Thanks for your time! First of all, thanks for reading and taking the time to comment and ask your questions. This is actually a common struggle among entrepreneurs in general, not just home stagers. I’ve attended numerous business conferences like GrowCo by Inc. Magazine, Savor the Success‘s Rock the World, Sparks and Hustle, you name it. Numerous entrepreneurs, including conference speakers, had all expressed similar frustrations in their entrepreneurial journeys. My closest friends and family know I’ve asked myself the same questions all these years I’ve been in business. 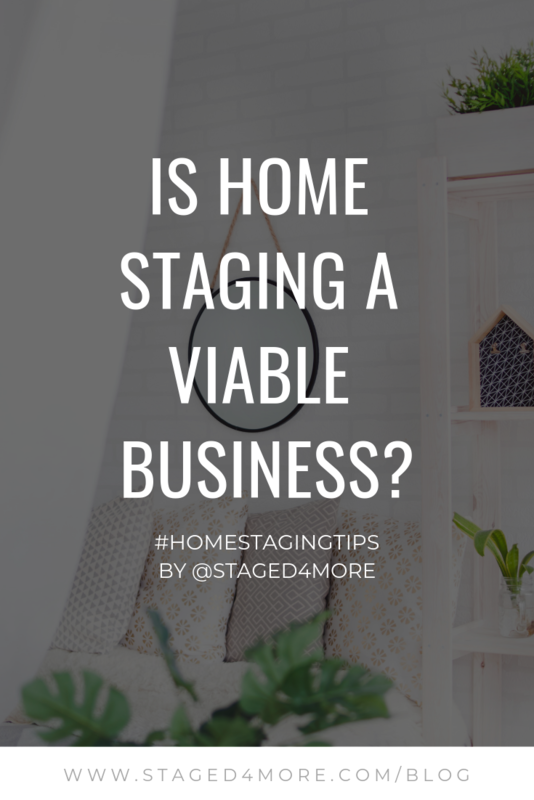 Is home staging a viable business? You are asking the first question because you are not booking enough projects to make a living wage. I am going to address number two first. Businesses take time to build. Like I mentioned in this post, it can vary based on your location. Home staging as an industry is still in its infancy, despite the fact that people have been doing it since the 70s. Compared to the majority of industries, like banking, retail, etc., home staging is still a baby. With the presence of the association and endless TV shows, the media has helped to push home staging forward to become an acceptable & common practice. Education takes time, same with your brand. Two years in business is still fairly young. Most businesses don’t see a profit for the first 3-5 years, and that’s average. Amazon.com did not turn profitable until Q4, 2002, which means it did not see profits for the first 8 years. Same with my business. I’ll be brutally honest… it wasn’t until year eight that I felt like I wasn’t going to make more money waitressing. I stopped chasing new clients and focused on retaining old ones by providing value and focus on developing more relationships with the client. I worry less about if I’ll make profits on each job, but focus more on providing perceived values to the client. I focus more on referrals & word of mouth among industry professionals, less with general public directly. I’ve worked with sellers directly numerous times and I’ve definitely had repeated business from sellers, whom I had a great time working with. But it’s never going to be the volume the agents can send me. That means I also stopped taking one-off projects that won’t derive a lot of ROI (return on investment). It doesn’t matter how big your warehouse is, your inventory is not limitless. So you have to focus on serving your most important clients first. Diverting resources to smaller projects that derive less ROI during peak season can be gnarly because you would be tying up valuable resources when you have big jobs coming into the pipeline. Trim the fat aggressively. Sure, there are always trial periods with everything that pertains to running your business, like vendors or warehouse inventory methods. If we feel that something is not paying off over a certain period of time, we change our approach. Most importantly, I let go of my old definition of success. I had this vision in my 20s that by 30, I would be married, financially independent, and be a successful businesswoman who go to board rooms with power suits and 4-inch heels, like Andie in The Devil Wears Prada. Yeah, most of that didn’t happen. I spend most of my days in shirts that I can move in, which is the furthest image from whatever that concept was. I also let go of my obsession. I started my business in my mid-20s. For the better part of that through my late 20s, I was obsessed about making a lot of money and was completely revenue-driven. Then the big 30 hit, and I realized it wasn’t working and creatively I was plateauing, so I decided to go back to school. It was a risky move and I nearly killed my business. But through the journey, I learned what success really means for me. It wasn’t about building a seven-figure business (although that would be super fantastic), it is about being the most creative I can be and taking on challenging projects that push my creative capabilities. That mindset led me to expand my styling experiences to working on photoshoots for companies like Pottery Barn and Oprah Magazine, and even styling private weddings and building displays for Ralph Lauren. Those experiences helped me to diversify my income and help me to become a better stylist. I started doing styling & design projects that are still related to my business but can tide me over during slower months. You are working to make a living for yourself, to chase your dream — whatever that may be — and there is no shame in that. There is also no shame in taking on part-time jobs to make ends meet. You do what you have to do to bridge the gap of your ideal income before you make it. A lot of home stagers also do interior decorating or interior design and vice versa. A lot of people take on organizing, social media, whatever they can. I’ve seen many part-time real estate agents who still have full-time 9-5 job but work in real estate for supplemental income. Ultimately, it’s YOUR business, it’s YOUR life. Only you can determine what kind of business will serve your lifestyle best, not the other way around. Learning to let go the old idea of success helped me stop feeling embarrassed and ashamed, which helped me move forward with my business. 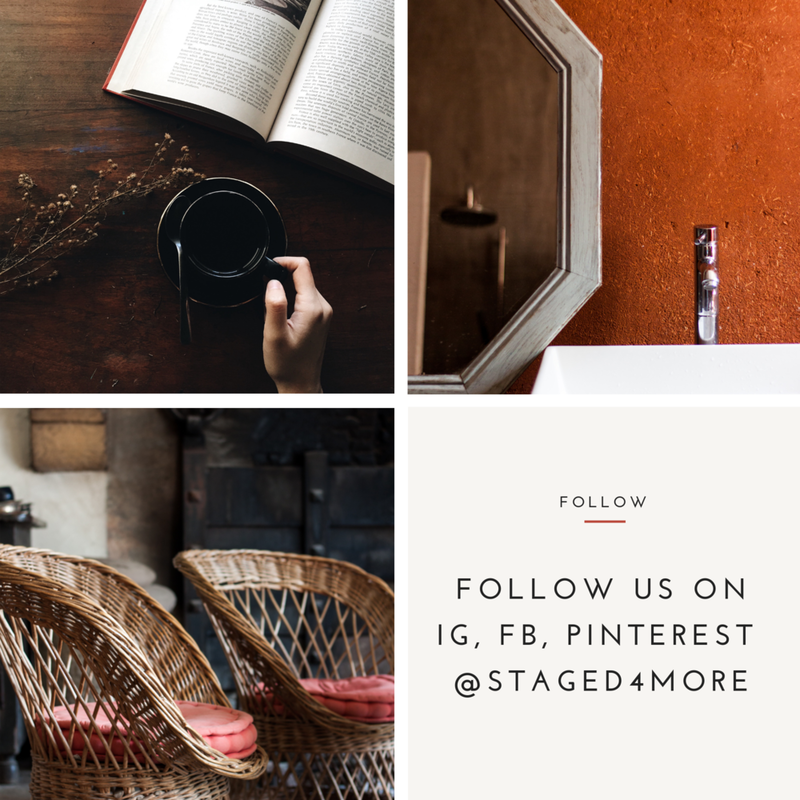 That brings me back to your first question: is home staging a viable business model? To be honest, I’m not sure. I’m not sure because every business is unique and there are many factors that can make your business sink or swim. In general, there is a high turnover in the real estate industry. Most real estate agents don’t make through the first four years. Same with stagers. When the economy fell, a lot went out of business. When the economy is back, we get a new crop that is popping out everywhere. I know that can be discouraging, to see others give up, or see new stagers undercutting. I have been there, I understand. Ultimately if you truly want this business, and you love it, don’t give up. It WILL get better, which will make success that much sweeter. My general advice would be that immerse yourself in business building and skills (in addition to your staging skills), and learn what your sweet spots are. Then expand from there. I hope that helps! WHAT DO YOU THINK OF MY ANSWER? I’D LOVE TO HEAR YOUR JOURNEY AND YOUR THOUGHTS. PLEASE SHARE YOUR ANSWERS IN THE COMMENT AREA BELOW!